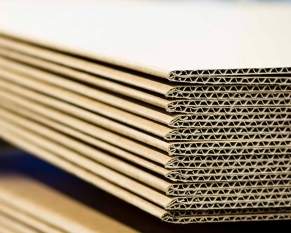 Aug. 29, 2018 - Cascades Inc. on Aug. 28 announced plans to close two corrugated sheet plants in Barrie (Jellco) and Peterborough, Ontario, as part of its ongoing efforts to reorganize and optimize its corrugated packaging platform in Ontario. "We are announcing today that production from the Barrie and Peterborough plants will gradually be redeployed to our other facilities in Ontario. This decision will enable us to better align our existing production capacity and to improve service for our valued customers." said Charles Malo, President and Chief Operating Officer of Cascades Containerboard Packaging. The two plants will be closed no later than December 31st 2018, affecting approximately 65 employees. The company is making this announcement well in advance of the anticipated closing date in order to minimize the impact on our employees and to initiate efforts to relocate as many of the affected employees as possible to our other business units. Any employees who are not relocated to other plants will be offered assistance in finding alternative employment. Founded in 1964, Cascades produces, converts and markets packaging and tissue products that are composed mainly of recycled fibres. Cascades employs 11,000 women and men, who work in over90 production units in North America and Europe. To learn more, please visit: www.cascades.com.